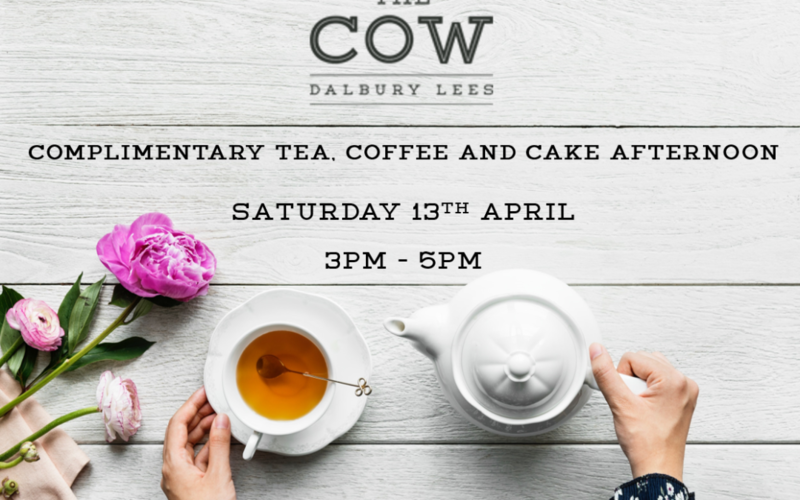 Join us with family and friends at The Cow Dalbury as we welcome Spring to the delightful Derbyshire countryside. Enjoy complimentary hot drinks and delicious homemade cake whilst chatting with the team. There will also be an opportunity to help us to improve your experience by gifting us your suggestions/comments/improvements. No need to book, just turn up! However, if you would like to let us know that you will be joining us, please call the team on 01332 824297. If you wish to learn more then please do not hesitate to contact us otherwise we look forward to welcoming you.